Worldwide coffee crops are having a rough year. Bug infestations, climate change, and crop fungus have been annihilating coffee plants, Leading to a global shortage on the world’s most popular and widely used drug: Caffeine. 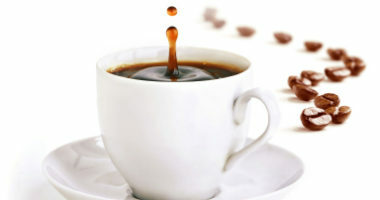 Coffee is the second largest globally traded commodity — after oil. Due to supply and demand, suppliers, retailers, and wholesalers are having to raise their prices to keep up with the customer. Starbucks raised their nationwide prices (again) last month of an average of one cent per drink (customers can expect, however, to shell out an extra dime for many drinks such as lattes, while drip coffee prices remained the same). Kona is one of the finest and most sought-after types of coffee in the world. It is the only type of coffee that grows on American soil — in a 40 square-mile stretch of land on the slopes of Hualalai and Mauna Loa on Hawaii’s Big Island. Many would argue this is the *best* kind of coffee in the world. It is certainly one of the most expensive. Kona is such a prized commodity that the U.S. Department of Agriculture is willing to shell out $1 million this year to protect the plant and fight back against the tragic borer beetle infestations which have seriously compromised Kona production throughtout the past three years. The folks at Coffee Wholesale sell a one pound bag of whole bean 100% Kona coffee called Hawaiian Kona Fancy for $68.78. It is our most expensive coffee that we carry because unlike the Kona blend, this is 100% pure Kona. Do the math and this comes out to $1.58 per cup (8 oz). While this might seem like a hefty price for a cup of home brewed beans, keep in mind that this is the highest-quality top shelf coffee we are talking about. Last year, Starbucks released an almost identical product in it’s “Reserve” line: an average cup of 100% Kona from Starbucks came out to $1 per cup, or $3.95 per cup from the Clover brewing system (similar to Keurig). And these are market prices created before the beetle borer epidemic hit it’s high mark this past season. So how much is too much for a cup of coffee? I used to spend $8-$9 a month on coffee — a large two pound tub of regular quality coffee (Folger’s), and this would yield a solid three cups a day. That’s less than ten cents per cup. Then I got all fancy and went out and bought a cheap used Keurig brewer off Craigslist. I thought I was getting a great deal buying a $40 brewer. That is, until I went to the store to stock up on K-Cups. Those evil geniuses at Keurig! An average K-Cup costs $0.75 – $1.00, and if you tore all of those k-cups (or other single brewer pods) open and compiled them into one pound of stale, ground coffee, it would total $31-$51 per pound! Once you step foot inside of a coffee shop or cafe, the price of a single cup of coffee is a whole other ballgame: obviously, espresso and espresso drinks are costlier than drip coffee, and “high-end” (e.g. 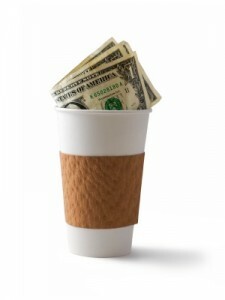 Starbucks) and independent coffee shops sell coffee at prices higher than McDonald’s Cafe or Dunkin Donuts. All in all, when you average home-brewed coffee, k-cup brewed coffee, and cafe-bought coffee, an average cup of drip-brew comes out to $1.38 — or $2.45 for an espresso-based drink, according to Statistics Brain. We want to hear from you, our customers and readers! 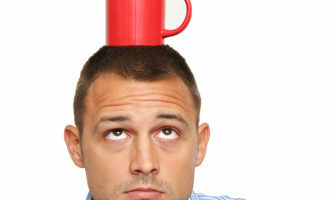 How much is too much for a cup of joe? What do you expect to pay per cup?